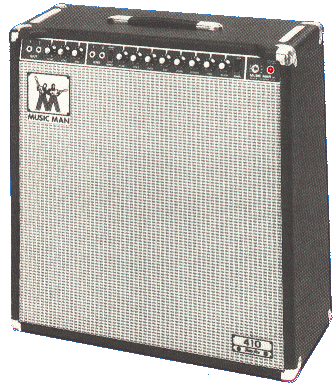 The fine guitar and bass amplifiers manufactured by the Music Man company in the decade from 1974 through 1984 have earned the trust and respect of musicians worldwide in the decades since. Their construction and longevity are near legendary. While these designs were not initially appreciated because they were not "all tube" in nature, they have proven their worth and character where it counts... long term reliability & roadability in addition to classic tone and impeccable sonic integrity. These amps personify American Craftsmanship and "battleship" construction! This website bonds together the fans and enthusiasts for these amplifiers, providing both a message board for discussion as well as further resources with in-depth information.